The Colts’ crowd at the RCA Dome had two things to be thankful for on Sunday – Peyton Manning and the replay booth. 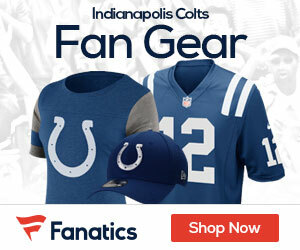 Manning threw 4 touchdown passes, leading the Colts to an important win over the Jaguars 28-25. Two of the 4 TD passes thrown by Manning weren’t your typical TD throws. The first Manning TD pass was courtesy of a challenge by Jacksonville head coach Jack Del Rio; he challenged a fumble that the officials had initially ruled recovered by the Jaguars. The review booth overturned the Jags’ challenge, saying Colts defensive tackle Raheem Brock recovered the ball. The second challenge was no less interesting. On the Colts’ next possession, the officials ruled Colts tight end Ben Utecht fumbled; Colts head coach Tony Dungy challenged the ruling. The replay booth ruled the play an incomplete pass; on the next play, Manning threw a 48-yard TD strike to WR Reggie Wayne, giving Indianapolis a 14-0 first quarter lead. Jacksonville finally got it going, starting an 11-minute drive, capped by a 2-yard TD run by Jags running back Maurice Jones-Drew, cutting the Colts’ lead to 14-7. But Manning would drive the Colts downfield, hitting TE Dallas Clark with a TD pass, increasing the lead to 21-7 at halftime. But Jacksonville would go on another time-consuming drive to another score on a TD pass from QB David Garrard to TE Marcedes Lewis, cutting the Colts’ lead to 21-14. A Manning pass intercepted by Jags safety Reggie Nelson ended a Colts drive, leading to a 47-yard field goal by Jacksonville kicker Josh Scobee, narrowing further the Colts lead to 21-17. At the mid-4th quarter mark of the game, Manning would toss a shovel pass to RB Luke Lawton, adding to the Colts’ lead 28-17. Jacksonville would score late, thanks to a Garrard TD pass to WR Dennis Northcutt; a 2-point conversion was successful, making the score 28-25 Indianapolis. But the Colts would, on their next possession, run out the clock. Indianapolis’ Manning had one of his better games this season, going 20-of-29 for 288 yards with 4 TD’s and an INT. RB Joseph Addai led Colts’ rushers with 21 carries for 67 yards; Reggie Wayne led all Colts receivers with 8 catches for 158 yards and a TD, while TE Dallas Clark caught 7 balls for 60 yards and 2 scores. Jacksonville’s Garrard had a decent outing, going 24-of-29 for 257 yards with 2 TD’s and an INT. Rushing honors went to RB Fred Taylor, with 104 yards on only 14 carries; Jones-Drew added 52 rushing yards and a TD. WR Ernest Wilford led the Jaguars’ receiving corps with 5 receptions for 72 yards; Lewis caught 5 balls for 42 yards and a score in a losing effort. Indianapolis (10-2) will attempt to win the AFC South crown when they travel to Baltimore to take on the Baltimore Ravens next Sunday night, while Jacksonville (8-4) hopes to latch on to a wild card berth when they return home to host the Carolina Panthers next Sunday afternoon.